Kids at the Ardunio Bootcamp in Sioux Falls. 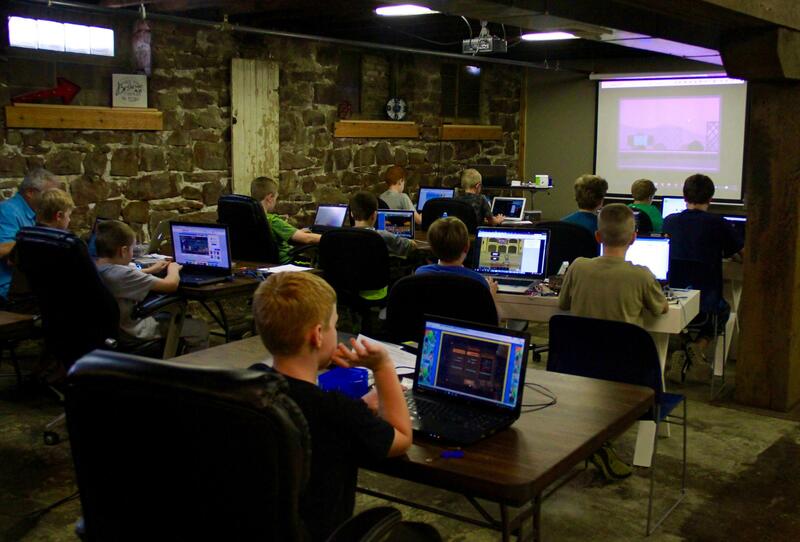 A camp in Sioux Falls this summer is teaching kids how to program electronics and video games. Using computer code, kids learn how to program a motion sensor, range finder, and a laser to create a homemade security system. 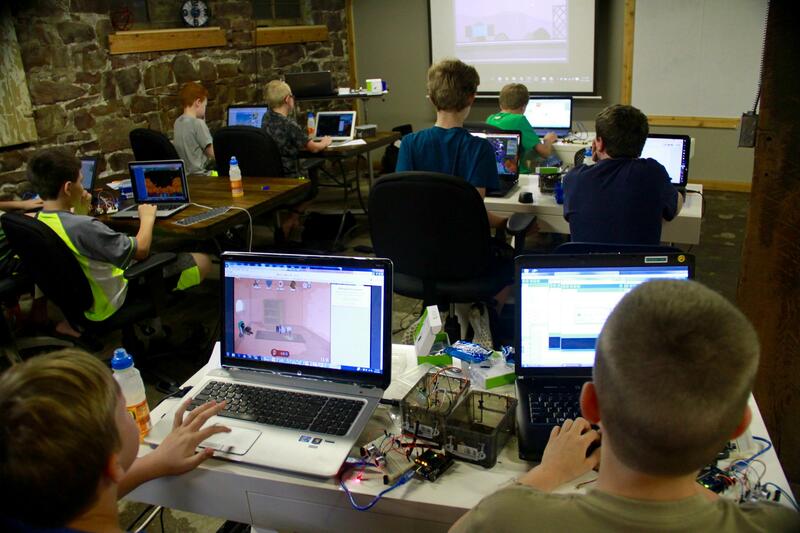 15 middle school boys eagerly punch computer keys, and plug electronic pieces into a microcontroller board. They are learning how to upload code onto their device to create certain effects, such as a motion sensor that emits different sound depending on how far away it detects an object. They are creating a home security system as part of a one day workshop at Code Bootcamp. Kids explore video games and programming for electronic devices. Will Bushee launched the program for adults wanting to learn more about web development. 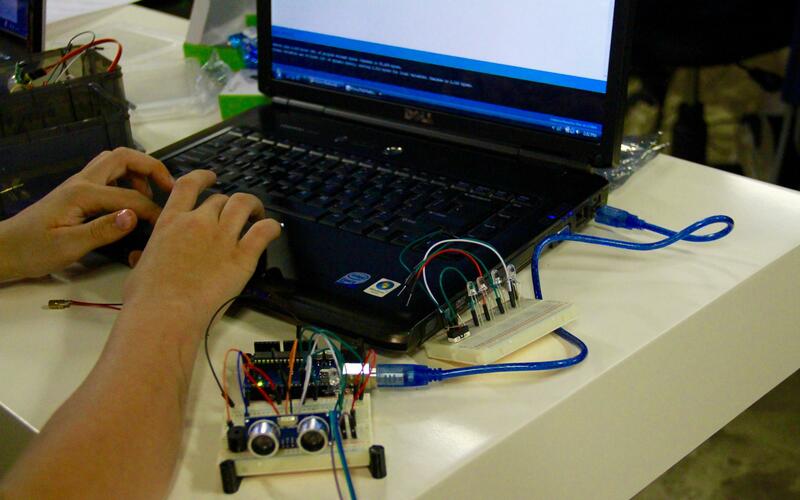 A year ago, he started created workshops for kids about building and programming video games. “I think it was a natural next step to do something with electronics. And so we have what we call our Ardunio Bootcamp and Ardunio is a microcontroller, and so today we’re building a little security system from individual components,” says Bushee. Porgramming the small security system made of the microcontroller and a breadboard. These kids aren’t yet learning how to write code, but how to modify it as an introduction into technology. Like learning a language, Bushee says once you are familiar with one system of coding, it becomes easier to learn others. “The younger they are the better they’re able to pick up these things. Even today we have a couple of a little bit older kids and they immediately went off and started to do some other cool things. Once you teach them once little thing they really do pick it up very quickly,” says Bushee. Bushee says even though the kids at Code Bootcamp are only about 10 to 14 years old, showing them how technology is created can lead into other fields such as software and web programming later on.